KITS05WMA 1 inch wall mount assembly Kit keeps your pump in place and out of the way with a compact wall mount bracket. Fits all 1 inch Sotera® Air Operated Diaphragm Pumps. S M Autovision Pvt. 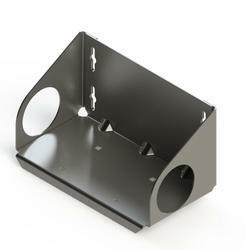 Ltd.
We offer high quality of Mounting Brackets For Suspension. Suitable upto 32 to 50 Height Adjustable 360o Rotate 15o Tilt MS epoxy powder coated colour available in silver and black. 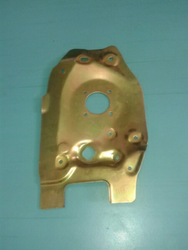 Relying on our expertise in this domain, we are into offering Cross Mounting Bracket.